Transylvania: Did Ancient Buddhist Tales Prophesy the DSM-5? On the Sri Lankan social media platform LankaWeb, medical doctor Ruwan M. Jayatunge recounts stories of difficult states of mind described in the ancient Buddhist Jātaka stories and compares them to syndromes described in the Diagnostic and Statistical Manual of Mental Disorders. "The Buddha used such stories to heal people with emotional and spiritual problems," writes Jayatunge. "According to archaeological and literary evidence, the Jātaka stories were compiled in the period, the 3rd Century B.C. to the 5th Century A.D.," writes Jayatunge in at times grammatically awkward English. "The Khuddaka Nikāya contains 550 stories the Buddha told of his previous lifetimes as an aspiring Bodhisattva or a person who compassionately refrains from entering nirvana in order to save others and is worshiped as a deity in Mahayana Buddhism... 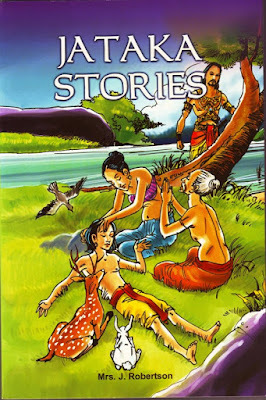 The Jātaka stories were a form of teaching approach which used the case method. This method consists in presenting the disciples with a case and did descriptive, exploratory analysis of a person, his mental state, actions and consequences. The Buddha knew the power of storytelling. The Buddha used such stories to heal people with emotional and spiritual problems. These stories gave insight and created Aha moments." Jayatunge then recounts key stories reputed to come from the Buddha, and compares the descriptions to DSM-defined disorders like hysteria, sexual dysfunction, gender dysphoria, paraphilias, substance abuse, personality disorders, psychosis, schizophrenia, depression, autism, and even Disruptive Mood Dysregulation Disorder and Intermittent Explosive Disorder. "The Buddhist Jātaka stories describe various types of mental disorders and how it affects the individual as well as the society," writes Jayatunge. "For centuries these stories helped the people to treat individuals with mental illnesses with utmost compassion. There is no evidence of persecution of psychiatric patients in the ancient Buddhist societies." දන්නා විදිහට අප මනසේ ඉතාම සියුම් තැන් පවා බුදුහිමියන් ස්පර්ෂ කර තිබෙනවා. වෙලාවකට හරිම පුදුමයි අවුරුදු ගනණාවකට පෙර මේ දෙවල් දැක්කෙ කොහොමද ? කියලා. වෛද්‍ය තුමණි ඔබේ මේ වටිනා උත්සාහය සුවහසක් දනගේ මනස සුවපත් කිරීමට උපකාර වේවා! යි ප්‍රාර්ථනා කරමි.